Ooooh, I simply love it! So sparkling and beautiful! Love it!!! Really beautiful color combination! :D:D:D thanks so much for the shoutout, I'm so glad you like my work! So glad that everyone doesn't think I'm silly for spending so much time sticking glitter to myself. Your nails look fantastic, by the way, I've been a reader of your blog for a long time so this is just the icing on the cake. Squeenes!!! Thank you so much for stopping by! #mutualfangirlmoment <3 Your work is splendid. The only silly ones are those who do not get it haha. You squee?? I squee! :D:D:D:D I've been doing this for two years now and it's only really recently that other bloggers are creating similar glitter placements to me. It's just so awesome, after reading your blog for so long, and BAM link to me. It's just so wonderful! Since I'm here, would you possibly consider doing a guest post for me? Your work is so clean and perfect, it would be such an honour. If that's not your thing, that's totally cool too! I was introduced to glequins by miss Sammy (the nailasaurus). I recall first seeing your incrdible work on instagram and just HAD to find our blog after I saw that first pic. I think it was one of the rainbow hex placements. This was my face after seeing that photo *. * *. * o.O haha. I would be honored to guest post for you!! I will email you very soon. This was your first time? I think it's fantastic! ! I know when I did my first free hand nail art I wad so over critical of myself, but the reality is that the imperfections you see actually make it your own. Keep practicing and I'm sure you will get that flawless look you're aiming for. Great nails,great work and great fingers!Welldone!!! I love the base color, and the end result is really gorgeous. Great job! Amazingly done!!! I tried Glequin once, it was a total fail! I blame the Red Bull! 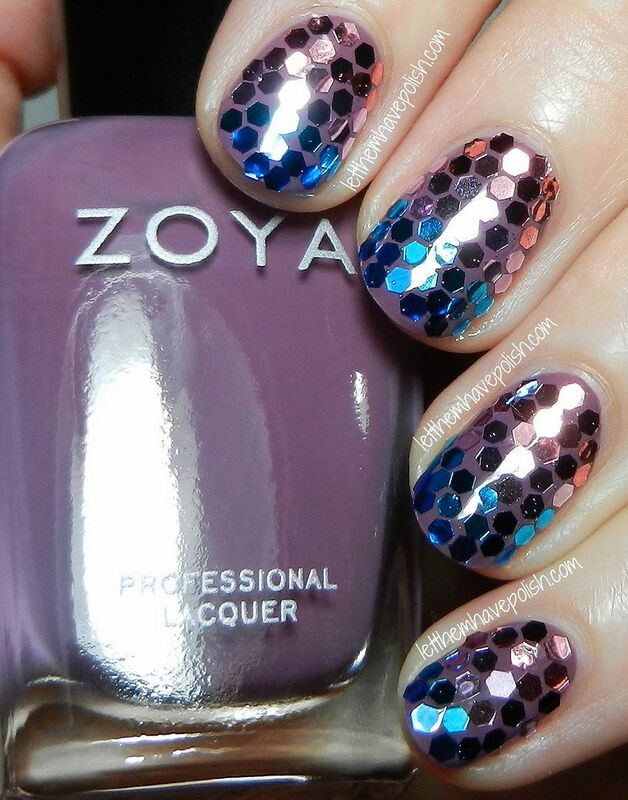 Ooh, doing a gradient with the glitter is a brilliant idea! I can totally relate Cristina. Always drool about Laura's glitter placements and wish one day I can have the patience to do that as well. I tried yesterday but ended with just two lines on the tip of my nails. It's so time consuming but in the end it looks gorgeous. You nailed it. Love these! They look so sprakly and festive!